Need a fun and easy comprehension center your students will love? 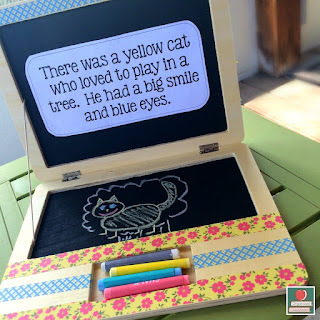 Grab a few "laptop" chalkboards, create some reading passages, and you are all set! Higher functioning students could even come up with the comprehension pieces for you! Super fun, easy, and students will love drawing with chalk! Want a free Powerpoint template to make your passages?